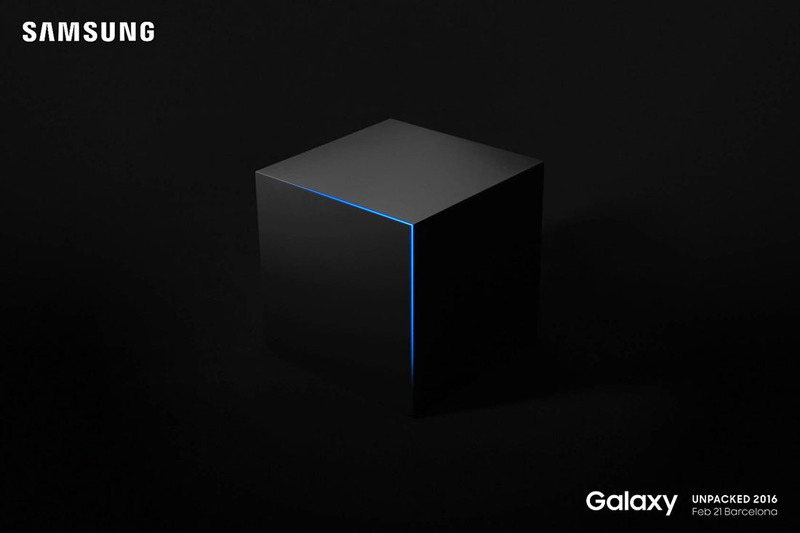 Once Samsung announce the Galaxy S7 and Galaxy S7 Edge in Barcelona on February 21, the world will be anxiously awaiting their arrival for purchase at local retailers and carriers. Early reports suggest that March 11 could be the day that Samsung’s new flagships arrive in stores, but before that happens, we need to see pieces fall into place – like each stop off at the FCC for approval. Today, that happened. 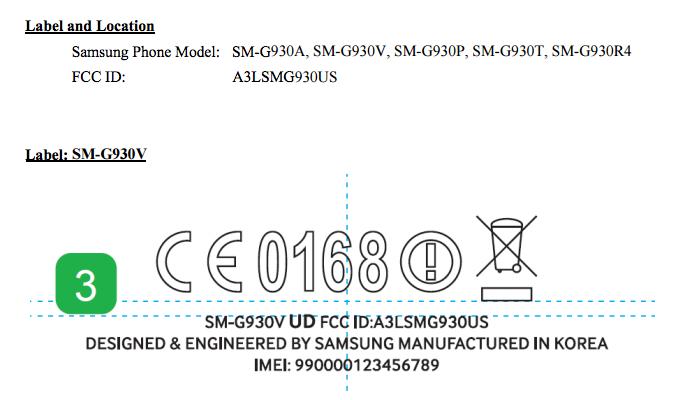 According to FCC documents for Samsung devices under model numbers SM-G930 and SM-G935, we should be all set for launch. As a reminder, the Galaxy S7 is SM-G930 and the S7 Edge is SM-G935. The FCC IDs for each are A3LSMG930US and A3LSMG935US, respectively. The documents show us the general shape of each, along with the fact that each will have an FCC ID planted on their lower backsides. 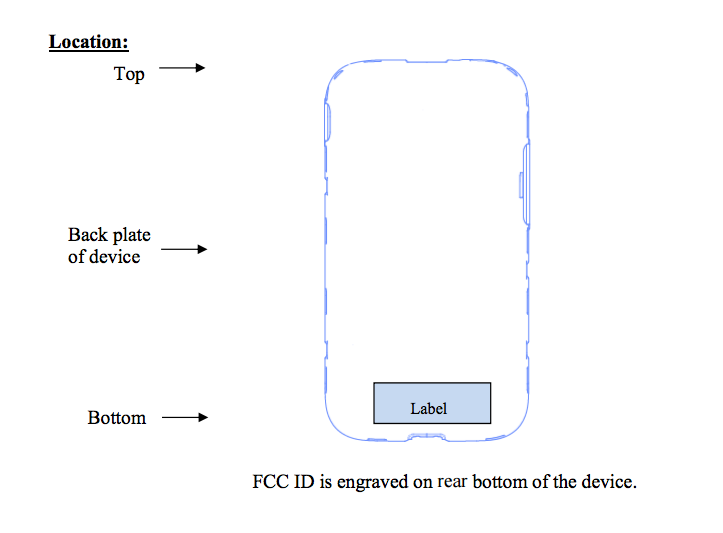 Why Samsung didn’t go the software FCC ID route is beyond me, but they didn’t. The documents are giving us confirmation on device models as well, showing specific model numbers for each carrier variant. The different carrier numbers are as follows: SM-G930A (AT&T), SM-G930V (Verizon), SM-G930P (Sprint), SM-G930T (T-Mobile), and SM-G930R4 (US Cellular). The filing for each is for a general Galaxy S7/S7 Edge model of A3LSMG930US/A3LSMG935US, with each carrier model included. I don’t know if that means we are looking at a single Galaxy S7/S7 Edge unit that works universally everywhere, but that carriers will choose to limit, or what. The nice thing is, we have all of the information for all carrier variants together. For example, here is a look at the supported LTE bands, for those curious. 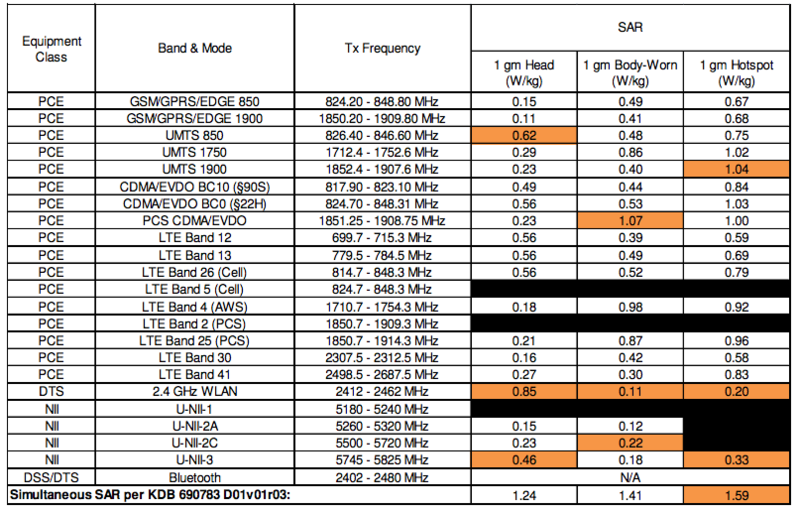 The documents included show LTE band 2, 4, 5, 12, 13, 25, 26, 30, and 41. I don’t know where AT&T’s band 17 is, as it doesn’t appear in any document at this time. The rest of the documents don’t offer any other details that we didn’t already know or expect. With that said, there is a test report that mentions a micro SD card and a battery model that we are looking into at the moment. If you feel like diving through some FCC docs, we have links below.